Charlottesville, Virginia: According to a new report from industry analyst firm, Communications Industry Researchers, Inc., worldwide expenditures on 5G backhaul will exceed $2 billion dollars by 2022. The new report, “Optical Networking Opportunities in 5G Wireless Networks: 2017-2026,” says that the optical networking industry will be a key beneficiary of the 5G backhaul build and will account for almost 60% of 5G backhaul expenditures by 2022. The report focuses on emerging opportunities for optical networking companies in the 5G backhaul sector, especially those in the Carrier Ethernet, WDM, space division multiplexing (SDM) and passive optical networking (PON) sectors. The report provides ten-year forecasts for these areas, with volume and value projections of optical systems, modules and the cable requirements for each. 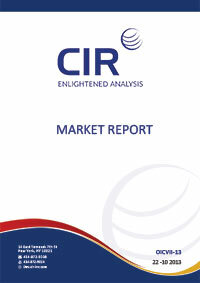 The report also discusses and forecasts the niche opportunities that CIR foresees for free-space optics (FSO) and millimeter wave (mmWave) radio for 5G backhaul. In addition, the report quantifies that opportunities for dark fiber in the 5G-backhaul space. The report also provides a discussion and forecast of 5G backhaul markets for all the major geographies including the United States, Europe, Japan, China, South Korea, MENA and ROW. For each country/region we identify the 5G infrastructure building strategies of the leading carriers and which fiber and hardware firms are winning the contracts. Finally, the report also discusses how the advent of 5G mobile will impact the fiber optics industry more generally, especially as 5G mobile services begin to be presented as an alternative to fiber-to-the-home (FTTH). This report is a no-hype analysis of where the opportunities can be found in 5G backhaul and the projections that it presents are based on a realistic assessment on how fast the 5G subscriber base will grow. The United States will account for more than half of the investment in 5G backhaul over the next decade, but the fastest growing 5G backhaul markets will be China and South Korea. CIR’s forecasts indicate that Chinese service providers will spend more than $130 million on 5G backhaul in 2022. Chinese equipment providers – ZTE and Huawei – are aggressively marketing their 5G solutions (including 5G backhaul) worldwide and Huawei says it will invest $600 million in 5G-related R&D in the next five years. Although Korea is a relatively small country it is rushing to create 5G services for the Winter Olympics, which will be held in Korea in 2018. Korean 5G deployment is also being encouraged by Samsung as a domestic test bed for its 5G phones. The technology that will dominate 5G backhaul will be NG-PON2. By 2022, more than $890 million will be spent on this technology for 5G backhaul. Verizon, which is a major early backer of 5G has specifically selected NG-PON2 for 5G backhaul and Huawei also backs PONs for 5G backhaul. The long-term success of NG-PON technology in 5G backhaul will, however, depend on the expectations that the cost of this technology will plunge in the next few years as the result of less costly tunable components. As 5G-backhaul deployment proceeds, there will be growing competition between DFB and DBR lasers to supply the most cost effective and energy efficient light source. Meanwhile, if manufacturing costs can be contained, there will be more wavelength-calibrated transmitters used in the 5G-backhaul environment. Otherwise, accurate wavelength alignment will rely on feedback from the OLT. Other new technologies that will be promoted by the rise of 5G backhaul will be new kinds of optical splitters and novel kinds of fiber suited to SDM deployment. Many of the suppliers for 5G backhaul components will be found in China and when the ITU-T releases NG-PON3 standards in a few years, it is expected that even more Chinese component manufacturers will emerge. More than 280,000 fiber km of cable is expected to be shipped for 5G backhaul applications in 2022, with major fiber and cable suppliers such as Corning already showing signs of specifically targeting 5G infrastructure with their products.